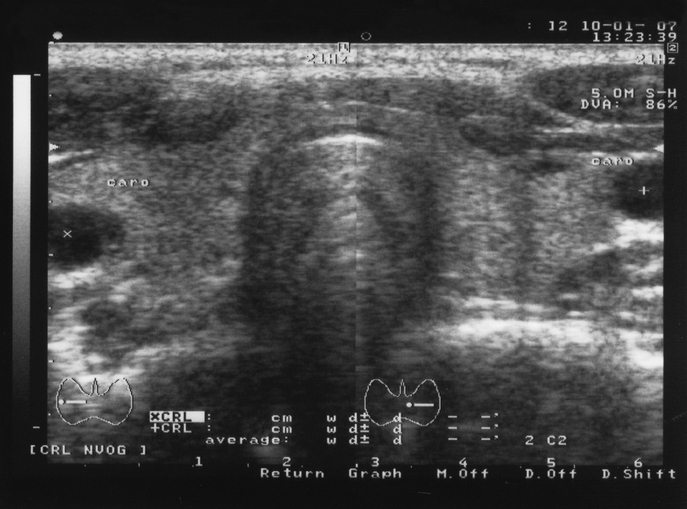 Definitions and examples of Neck Ultrasounds are presented in two views. An ultrasound of the neck uses high frequency sound waves to create a live image from inside of a patient’s body. It is a painless test that is used in the medical field today. 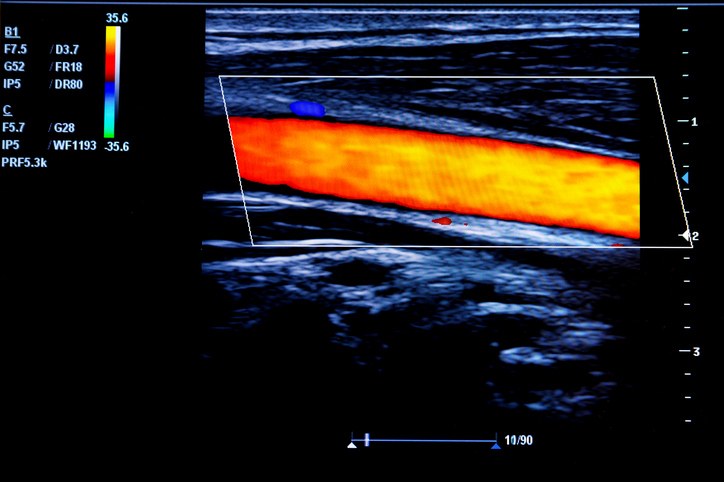 A carotid ultrasound uses sound waves to examine the structure and function of the carotid arteries in a patient's neck. A neck ultrasound can be used to guide doctors or surgeons during a procedure, such as a biopsy. They are important in planning for certain types of therapy and surgery, as well as in the aftermath to determine whether the patient’s body is responding to treatment. 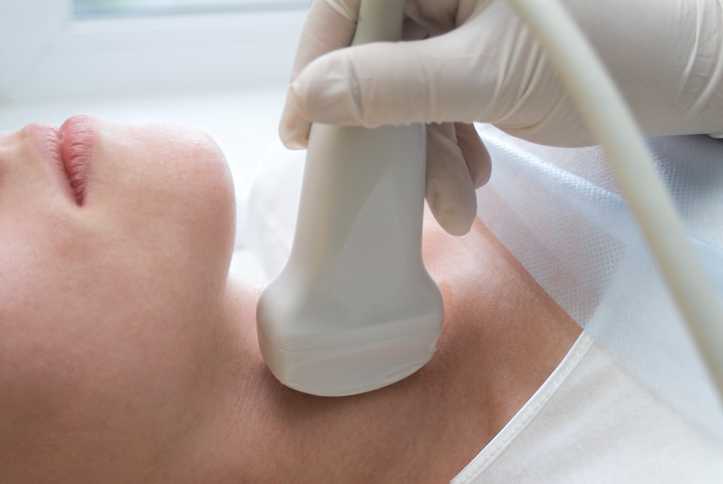 A neck ultrasound can be used to observe the thyroid gland to look for nodules, growths, or tumors. 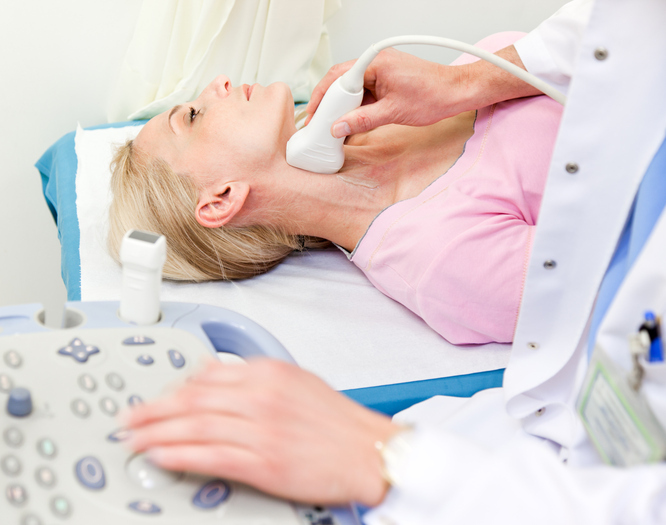 An ultrasound of the neck is used to examine the carotid arteries located on each side of a patient's neck. The arteries deliver blood from your heart to your brain. A neck ultrasound can be used to test for blocked or narrowed carotid arteries, which can indicate an increased risk of stroke. An ultrasound of the neck and the carotid arteries can help a physician determine what kind of treatment is needed to lower risk of stroke. 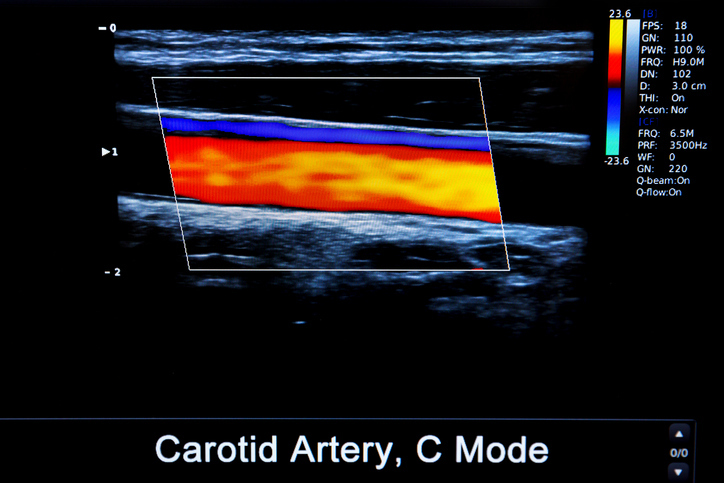 Views of the carotid artery, the main artery in your neck, are a common reason for a ultrasound. Neck ultrasounds are painless and used for a variety of reasons. 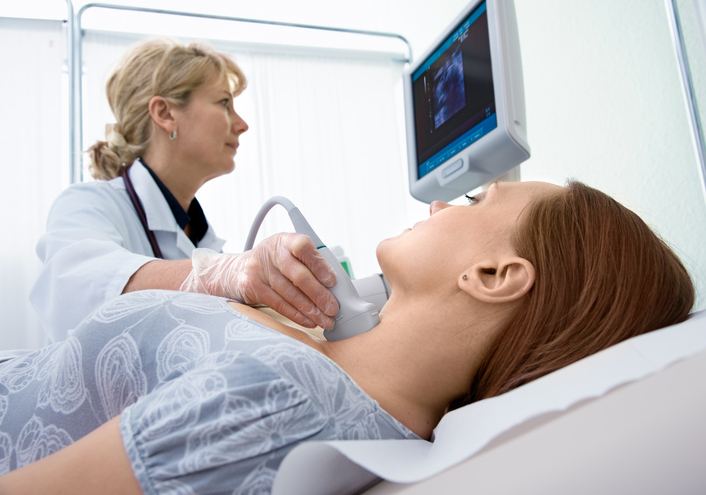 Above: Ultrasounds can measure the conditions, including blood flow, in the neck. Since the procedure is very relaxed, neck ultrasounds are done while the patient is awake. Thyroid gland ultrasounds in the neck can now help doctors with options for treatment. 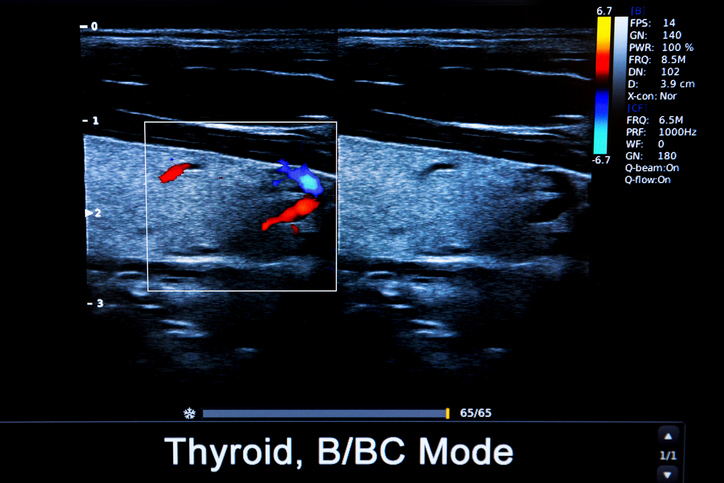 Images of the thyroid, like shown here, are just one of the reasons doctors order a neck ultrasound.